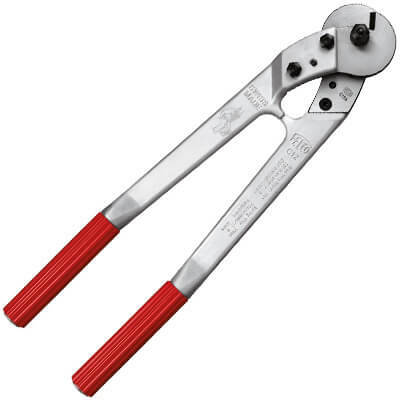 Felco C12 Hand Held Wire Cutters for up to 8mm diameter Stainless Steel Wire Rope. 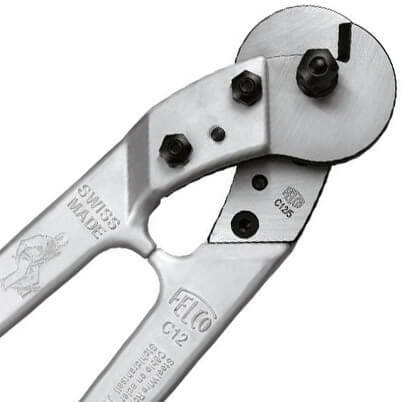 Two hand cutter for cutting steel cables up to 12 mm (0.5 in.) in diameter. Also recommended for cutting metal rods and spring steel wire. Optimum cutting yield thanks to the shape of the handles and special steel blades. 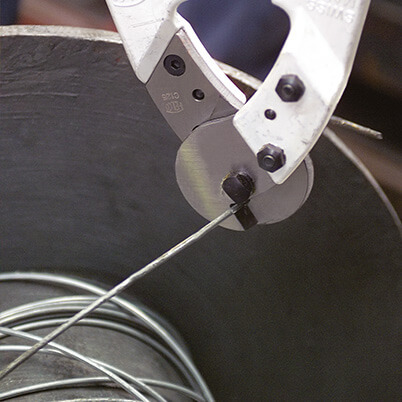 A cable cutting tool capable of satisfying the most varied industrial requirements. Hardened steel blades and centre bolt, unbreakable forged aluminium alloy handles with plastic covering for good grip. Unbreakable hardened handles made of forged aluminium with a lifetime guarantee. Blades and fastenings in high-quality hardened steel. Parts subject to wear and tear can be replaced. Clean, precise cut without crushing the cable thanks to the triangular cutting system. Easy and durable cutting adjustment.